Just after Ruby was born my parents bought a house that just so happened to be around the corner from me (it was very coincidental, they put an offer in the week we started the ball rolling with renting ours). There are many advantages to having your mum around the corner, but I think Ruby gains far more from having Nana so close as well! As soon as my parents moved in, they obviously set to work on getting things straight, and my mum being a bit of a dab hand in the garden, set about planning the outside space. 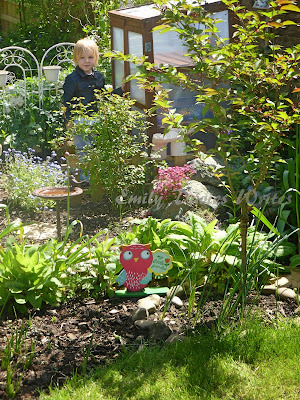 And so Ruby's Garden was born! My mum, bless her, decided to create a magical garden within her garden that was for Ruby. It's not a very big patch, but the design of it is amazing. 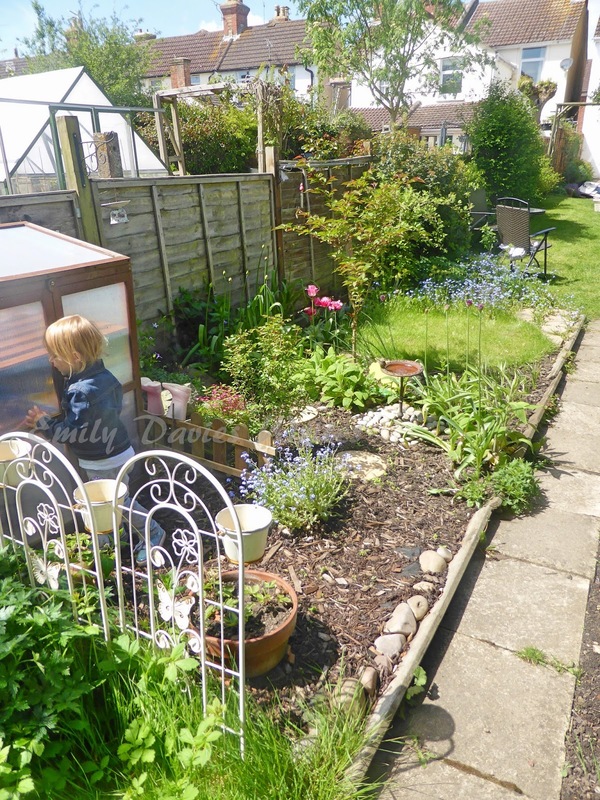 It has a miniature lawn, a rockery, a green house, a foot path, bird bath and even a cherry blossom tree! 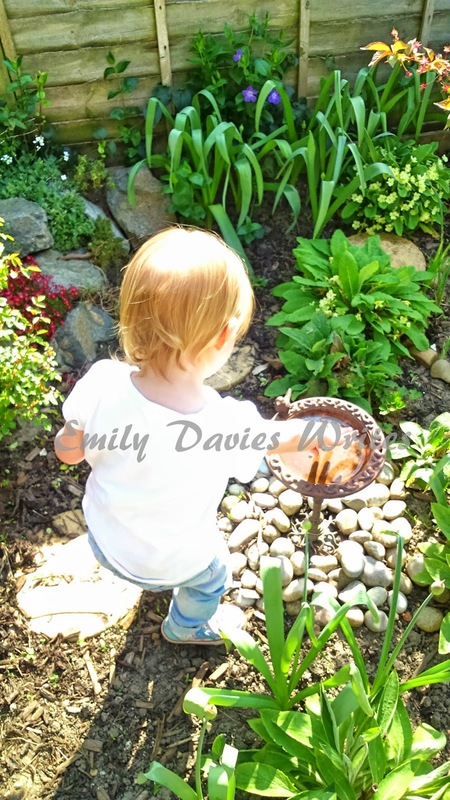 My mum planted so many things that had significance, picking out flowers and plants which shared Ruby's name or had a special connection to her life or our family. She even wrote a blog about it so that one day Ruby will be able to read it and know how much fun we had building it - you can read that blog here. 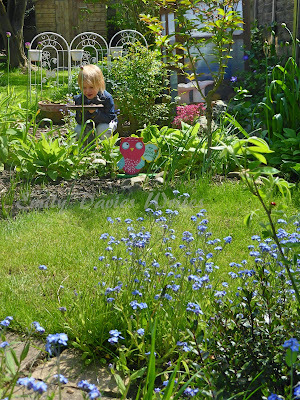 Anyway, as spring rolls into summer, and Ruby has now turned two, we're at a point where Ruby can actually get involved and enjoy her little patch. 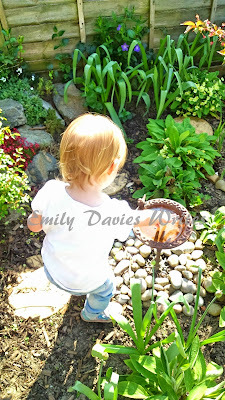 She now knows exactly where her tools are kept, she loves watering the plants and she walks around her little space noticing all the little flowers, bugs and magical things that little girls love. I'm so grateful to my mum for creating something that I could never create for Ruby myself and for encouraging her in an area that is not my strong point. 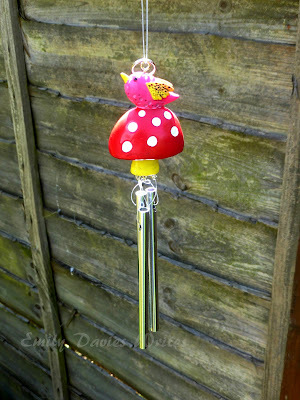 I know Ruby will enjoy her garden for years to come. The garden keeps growing and we add bits and pieces to it all the time so I'm sure it will grow and evolve as Ruby does. 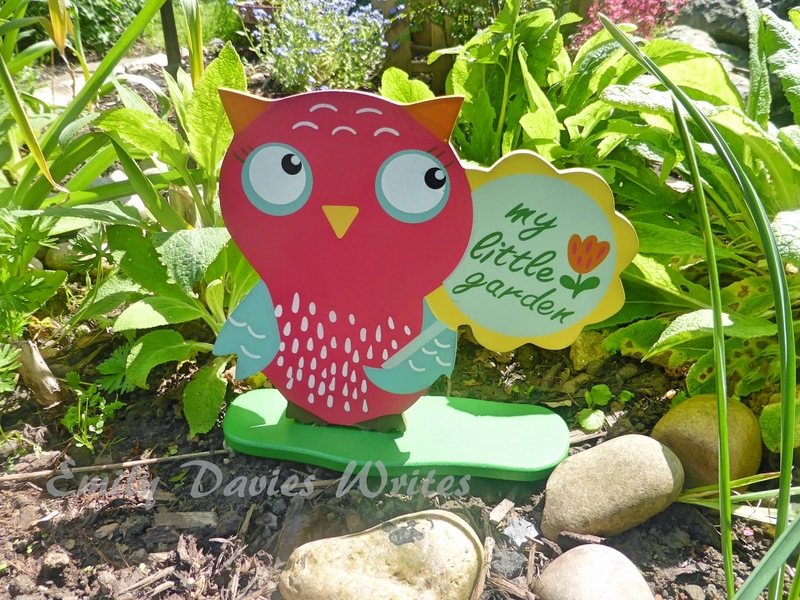 Today we spotted these awesome garden ornaments in Asda and just had to pick them up at such an affordable price. Ruby carried them on her lap all the way back to Nana's house and was peeking in the bag the whole time. 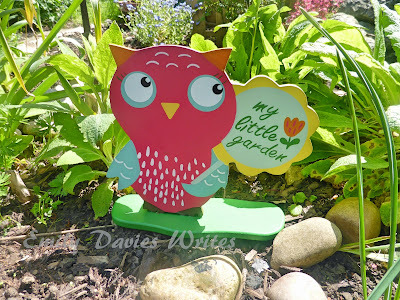 How do you encourage your kids in the garden? Do they have Grandparents who can pass on skills that seem to have passed you by?